Drone Licence UK: What are the regulations? Drone regulations UK is a hot topic at the moment. Our guide will tell you all you need to know about drone regulations in the UK. Where you can and can’t fly, as well as shedding some light on new registration requirements. Before you get that drone flying, it’s important you understand some of the rules and regulations set in place. 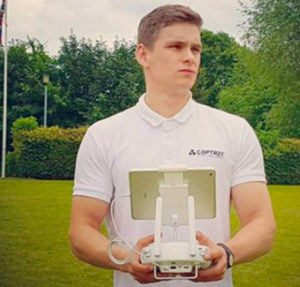 The UK government recently announced measures that require owners of a drone over a certain weight to register their devices. They have also announced plans to bring in a test for new owners. The safety test requirement was confirmed by the government in November and should come into law this spring, 2018. Follow local council rules about drone flights in your area. UK drone enthusiasts are busying themselves to ensure they are ready for the new drone legislation put in place this year. The legislation was announced on the 30th May 2018, and includes new rules such as a restriction from all drones flying within 1km of protected aerodromes in the UK. This new rule provides protection for manned air planes, therefore drone pilots will need to take more care to take note of where they are flying. Under the new laws announced, any drone weighing over 250g will need to be formally registered. This will affect a majority of drone users. Drone pilots must be ready to present their registration documents if required by the police. 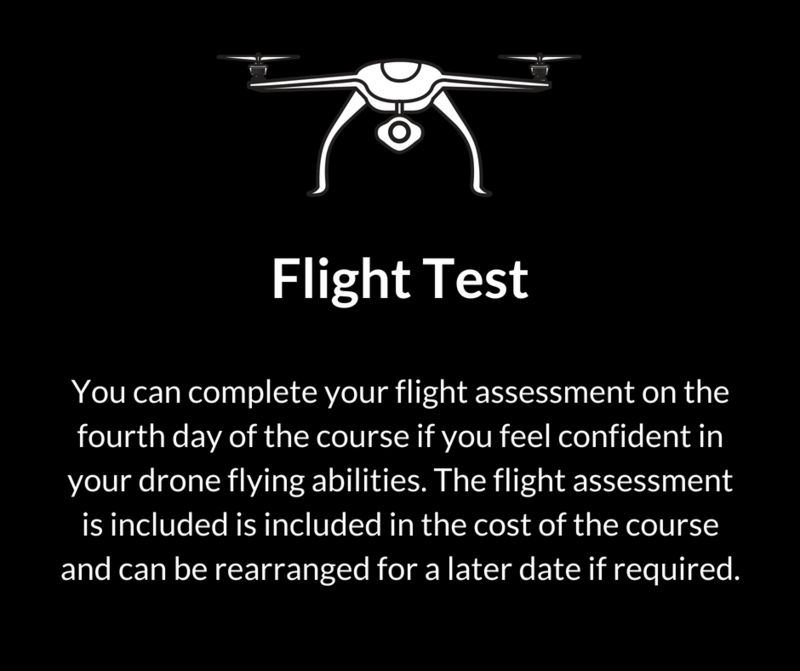 Drone pilots will be required to take a drone safety test before they are allowed to fly. This follows suit from European countries. The government has confirmed that they are currently in the process of developing training materials for drone users. Police powers are on the up, and they will have the powers to ground drones and seize them as evidence if they feel they are being used unsafely or for illegal activity. It’s important that commercial drone users understand their need for a ‘licence’. The reason we have licence in inverted commas is that technically it’s not a licence, it’s a permission. This is otherwise known as a PfCO and is provided by a CAA accredited trainer. The PfCO allows a drone operator to use a small and unmanned aircraft (an SUA). These must weight under 20 KG. There are courses available to allow you to gain your PfCO. 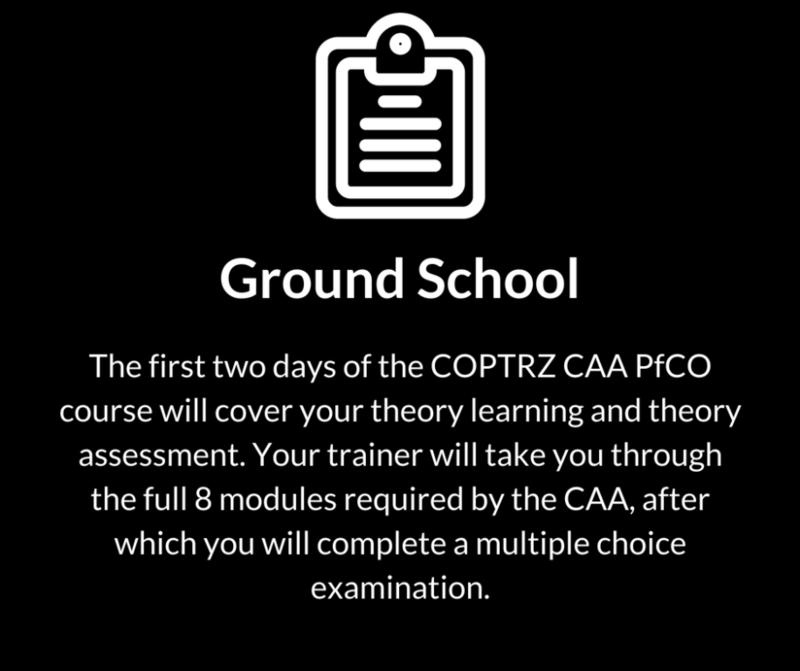 Here at COPTRZ we have a CAA approved course that will teach you everything you need, and will end with you gaining your PfCO following a flight test. A UK drone licence is an important part of ensuring you are able to conduct flight for commercial gain. What can I expect on my PfCO course? We have created a handy infographic to show you exactly what you can expect across the 4 days of the course. We spoke to some of the guy taking part in one of our CAA courses in Barnsley. Otherwise known as ‘BVLoS’, this ruling states you need to otherwise ensure you’ve got a visual of your drone. In most countries flying beyond the visual line of sight, is not allowed or highly restricted without permission. The current UK rules state that drone operations must be carried out within the normal visual line of sight – up to 400ft (122m) high and 500m in every direction. There are courses that give you a full insight into the world of BVLoS, read more here. In addition to your NQE Recommendation, COPTRZ can also separately provide you with an academically registered qualification under OFQUAL (Office of Qualifications and Examinations Regulation) as a Level 4 award. That means if you choose COPTRZ as your NQE, you’ll have the option to receive a vocational Level 4 award recognised across the board by employers in many sectors. This represents a standard between an A Level and a degree (ONC/HNC level). This qualification is an additional extra. We will never pass your details to anyone else. We will use your information to provide a personalised and tailored service when we communicate with you. We will also ensure your data is securely transmitted to our secure data environment where it will be protected within the Salesforce Pardot infrastructure. There are no comments on this post as yet. Be the first to comment. We can create a bespoke drone solution for your business. COPTRZ have helped over 1000 businesses to access the benefits of drone technology, providing cheaper, faster and safer operational capability.